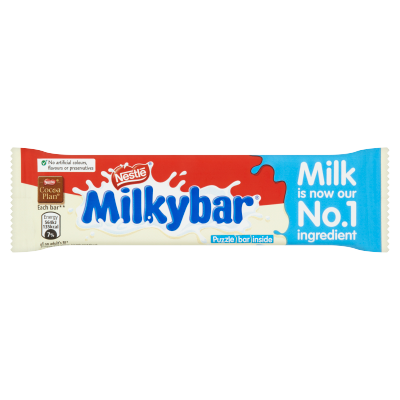 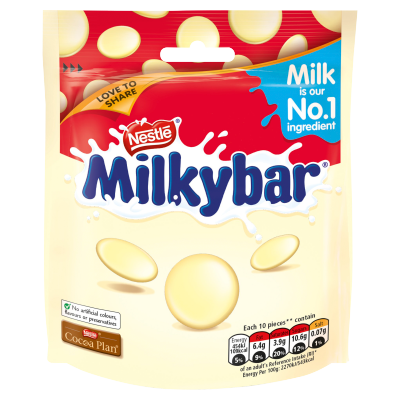 We love milk at Milkybar®, which is why we've added even more of it to our white chocolate. 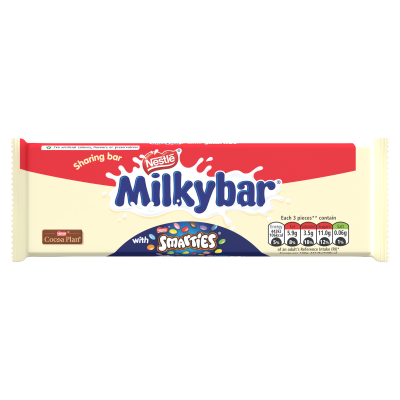 Sharing Block. 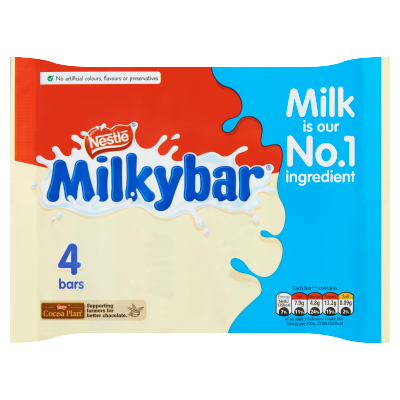 It's the same delicious taste that you and your family know and love, but with milk as our No.1 ingredient. 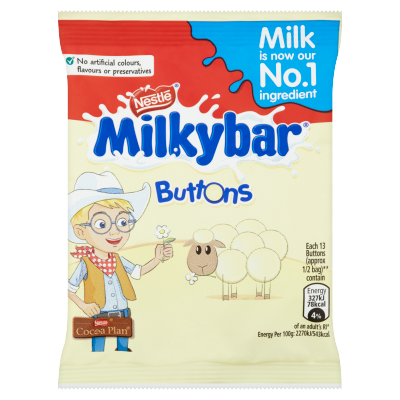 It's simple stuff! 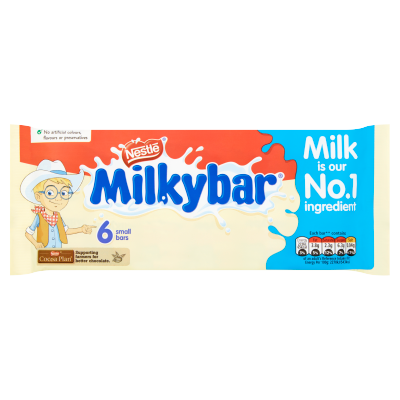 Milkybar® Sharing Block is the perfect sharing product for the whole family to enjoy. 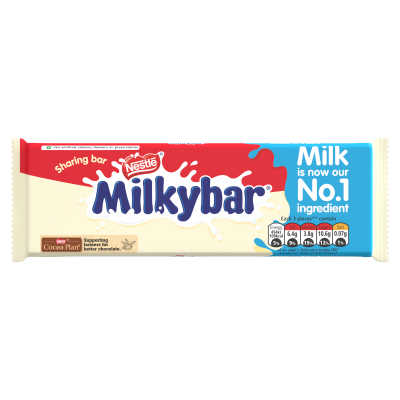 Each piece is nothing but creamy-tasting, smooth white chocolate, with milky deliciousness and with no artificial colours, flavours or preservatives. 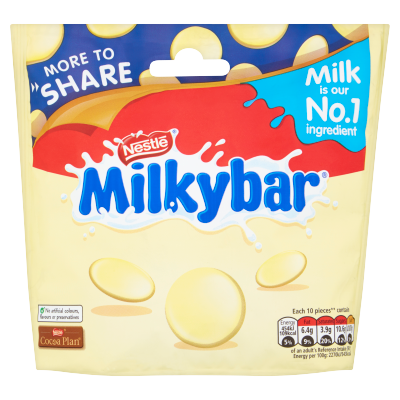 Both kids and adults love the delicious taste of our white chocolate, so why not share simple moments together?